full of tropical fish and exploring sea turtles! that really resounded with me. and is apparently rather autobiographical. her only novel published under her own name. of someone suffering from it. from the perspective of the family dog, enzo. a dog would think and feel. 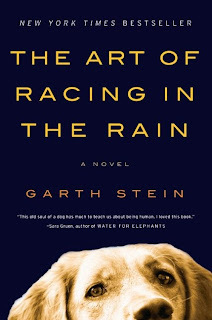 if you are a true dog-person like me, this book is a must-read. and it's definitely a book i will come back to. on the planes & buses all the way home. ugh SO jealous of your beach time ;) I can lay on the sand for hours, unlike the people (aka most of my friends/fam) who get "bored" and need to jump in the water, haha. Thanks for the book reviews, I am in the market for some good summer reading suggestions! welcome back!! I'm definitely going to have to read these and am adding them to my list pronto! can't wait to hear more about your trip. it sounds just heavenly. i just bought the art of racing in the rain! thanks for the recommendation :) check on my latest post for some of my recent fav reads. 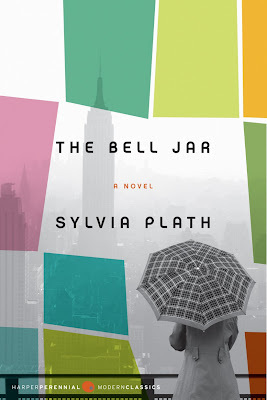 I own that book, the bell jar & I suffer from depression. I have yet to read it (as I'm reading a different book at the moment) maybe once I finish my current book, I will give that one a read. your other books look good too. I saw the movie the colour purple but have yet to purchase it. In college I took a course, American Women Writers, and we read The Bell Jar. It is a great book. I'm thinking of re-reading it this summer cause it's been awhile. I just love the sunshine and books. I could get absorbed in them all day lonnnnnnng! 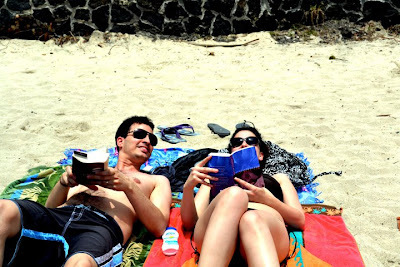 I don't know that I could read Plath on a sandy beach vacation - but that IS an amazing book. When I'm on vacation - I much prefer magazines. It's like my brain knows it's time to shut off and just can't handle literary reading. But US Weekly? Bring it on.